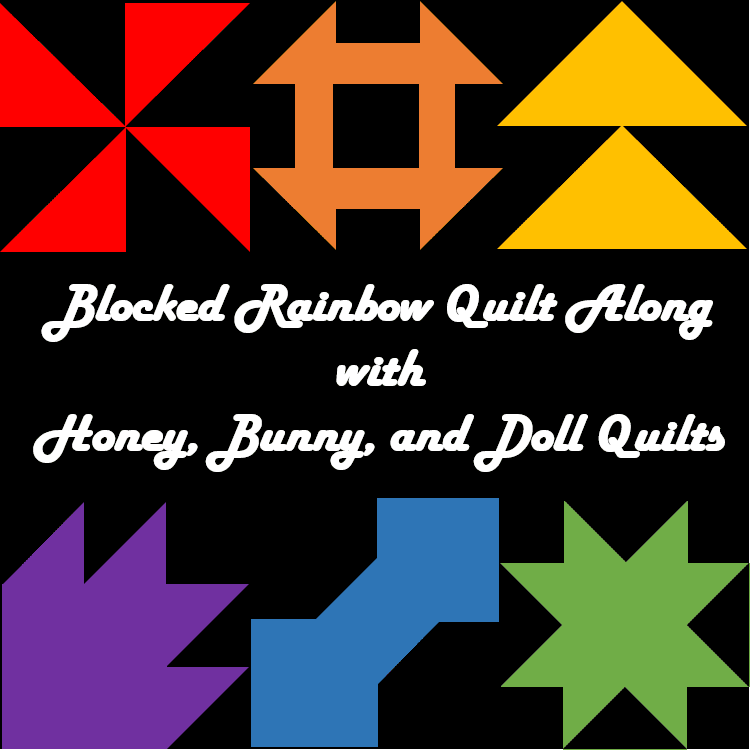 The 2018 quilt along is now over and the entire pattern is available as a single PDF pattern on Etsy and Craftsy. It's already week #3! Let's get crackin' on some flying geese! 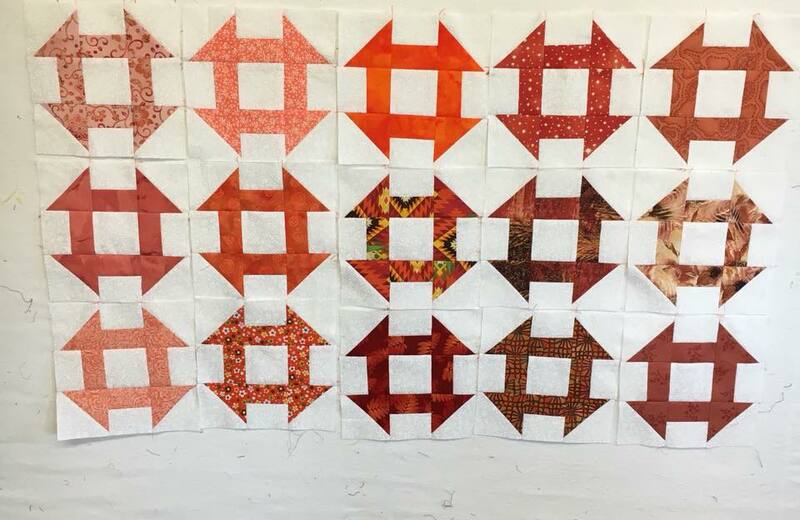 This week's block is a pair of flying geese. We'll be making fast flying geese, so each set of four geese will make two blocks! This should be a relatively quick week! You can use any method your heart desires to make your flying geese if the Fast Flying Geese method doesn't work with your current scrap collection. If you're an Easy Angle Ruler kind of person, check out this tutorial from Bonnie Hunter. 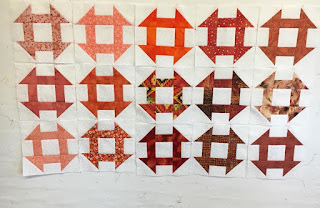 If you'd rather use the stitch and flip method, check out this page from Connecting Threads that shows both the Fast Flying Geese method and the stitch and flip method. Remember that if you change which method you plan to use to make your geese you'll need to adjust the cutting directions from my instructions so decide which method you'd like to use first before you start cutting. Regardless of which method you choose, you'll need a total of 24 flying geese in the appropriate size. Our winner from last week is Ramona! Check out her beautiful churn dashes! Way to go! Sharon lives in Lee Summit, Missouri and is retired -- but somehow she's busier now than when she worked full time! She is a second year Island Batik Ambassador and her designs can be found at www.yellowcatquiltdesigns.com as well as in Quiltmaker, McCall's Quilting, Modern Quilts Unlimited, and in the Moda Bake Shop. 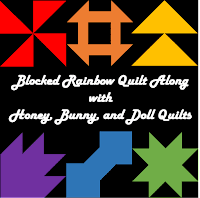 Make sure to post in the Facebook group or use the hashtag #BlockedRainbowQAL to be entered to win! 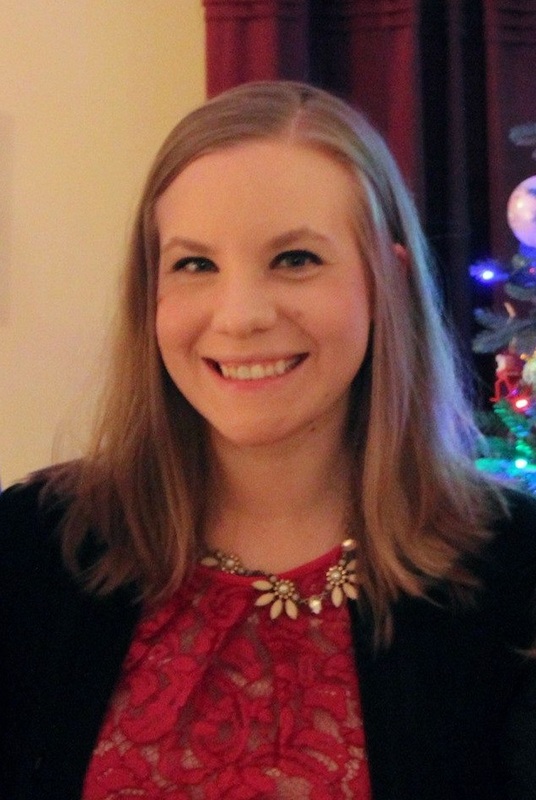 Sharing at Linky Tuesday! Today also kicks off the Stash Statement blog hop celebrating Kelly's new book! 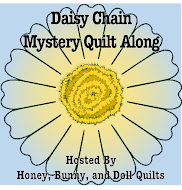 Click on over to her blog to read all about the cover quilt and enter to win a copy of the book for yourself! April 16 - Yellow Flying Geese <-- That's today! There are so many ways to make flying geese. It's been fun to watch each set of blocks come together.